A member of the Leah family buried in St. Giles churchyard. See note below. Photo courtesy of Elizabeth Mears (nee Turner). The Leah’s are related to my family – Humphrey Leah was my Great Great Grandfather and Hannah Mallinder by Great Great Grandmother. 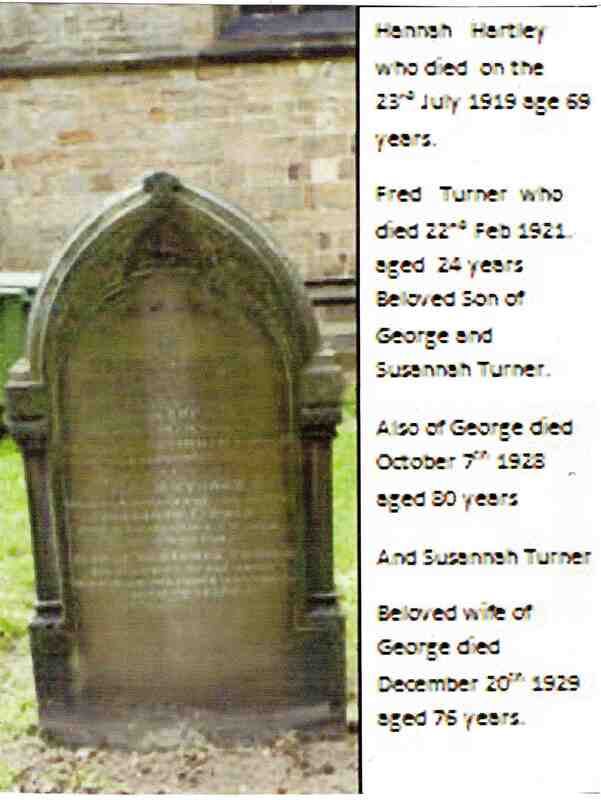 Their daugher Susannah Leah was my Great Grandmother who married George Turner. They are buried in St Giles churchyard with a lovely headstone which I have just had re-erected as it was in danger of falling over.